In grade school I was the kid who spent entirely too much time making assignments “pretty”. I always volunteered to make posters and I swear I designed a tee-shirt for every club, sport and organization I belonged to. Graphic design was a clear choice of profession for me. 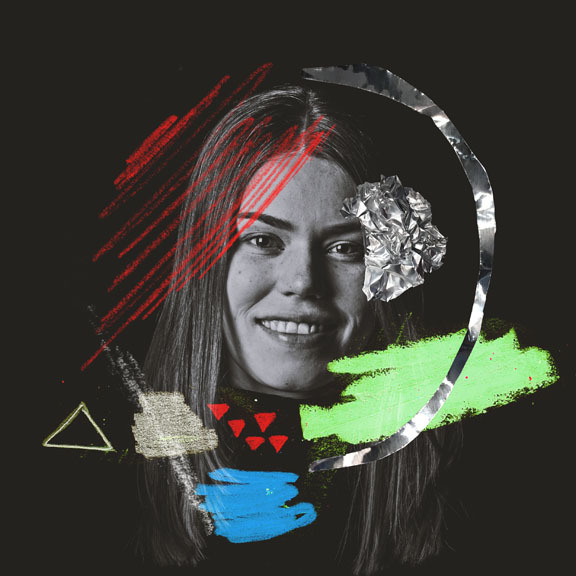 Along the way I developed my skills in woodworking at our family-owned cabinet shop and gained a unique perspective on practical design and construction as well as the importance of thorough planning and meeting deadlines. My favorite pass time is finding different ways to combine graphic design and woodworking, but I have always been a graphic designer at heart. I am ready to get out into the real world and cannot wait to see where this career will take me. World Market offers fun, modern products from around the world. 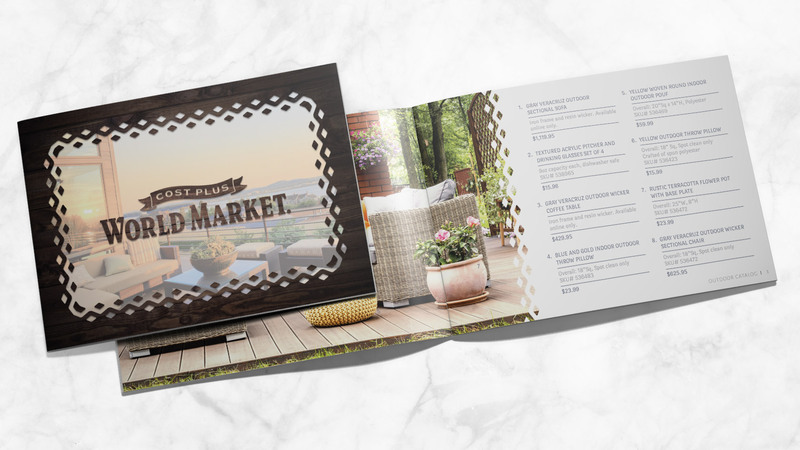 This Summer outdoor catalog lets the photos do the talking and is tied together with border treatments that draw the reader's eye across the page. 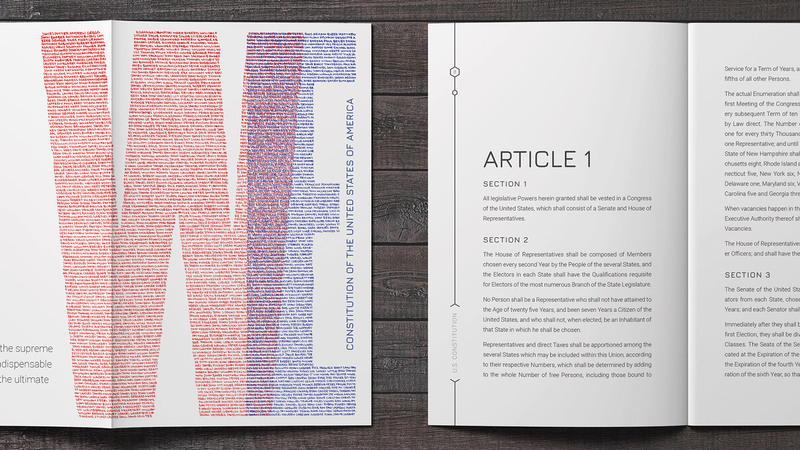 This edition of the Constitution of the United States of America was designed with great consideration toward the modern American citizen. The cover design consists of two lists of names. The names in red were taken from the first United States census representing the people for whom our constitution was written. The names in blue are names of U.S. citizens today and were collected at random. These names showcase the diversity of today’s America and represent the people our Constitution now serves. Roast is known as “Detroit’s finest steakhouse”. They are an upscale steakhouse offering signature dishes and a refined atmosphere. 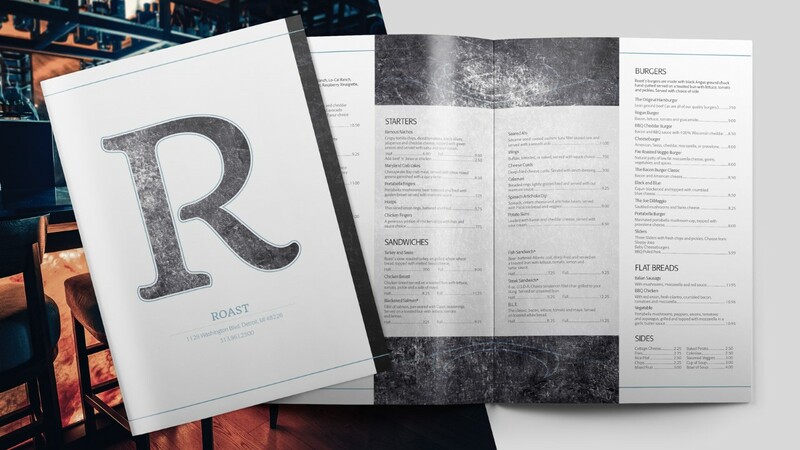 Their re-design uses high contrast texture in juxtaposition with white space to create a classy yet eye-catching menu. 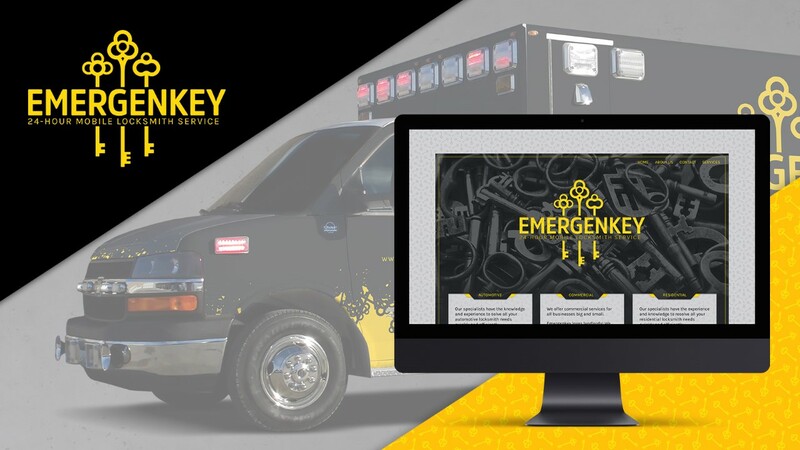 For anyone who finds themselves in need of a skilled locksmith 24 hours a day, 7 days a week, Emergenkey Locksmith Service is a reliable, family-owned company that prides itself on customer loyalty and affordable prices. Branding includes a charcoal and yellow color scheme that conveys urgency through high contrast and also draws the eye.